The Bible clearly tells us that we are to love one another; it also proclaims that we are to bear one another’s burdens. Research has revealed that when we show concern for others—empathizing with a friend who has lost a loved one, mowing the lawn for an elderly neighbor, or volunteering to mentor a school-aged child—we improve our own health and well-being and embrace and give voice to our deeper identity and dignity as human beings. In this moving book, Post helps us discover how we can make “helping” a lifetime activity. The Hidden Gifts of Helping explores the very personal story of Post and his family’s difficult move and their experience with the healing power of helping others, as well as his passion about how this simple activity—expressed in an infinite number of small or large ways—can help you survive and thrive despite the expected and unexpected challenges life presents. Post’s story is a spiritual journey that we can all relate to at some time in our lives. Intertwined with supporting scientific research and spiritual understanding, the book demonstrates that by looking outside of ourselves we gain better well-being and strengthen our faith. This book can become your companion and guide to the power of giving, forgiving, and compassion in hard times. “We can be anywhere, so long as we are helping others and caring for them. This is probably the one source of stability in our lives that we can truly depend on, and so in the end we are never really out of place,” states Post. 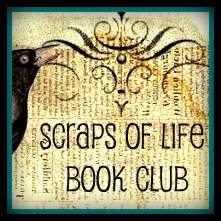 Scraps of Life Book Club Review: This book was a very enlightening read. The bottom line of this book is that we all need to step out of our own little bubble and reach out to serve and care for our neighbor. Once we do that, we grow spiritually and no longer dwell on the things we do not have. Another hidden gift of helping is that we no longer focus on our self but others and this helps us get through our own difficult times. Everything in our world shouts "me, me, me" but we need to turn from that and see what our "me" can do for others. Start simple. Start with helping a neighbor in with their groceries, wave and smile to them when you see them, pick up their paper and sticks in their yard. Before you know you will find other ways and other people to help. Let your help reach out to your work place, the gym, the school, your church and more. Get your kids involved, too. The author: Stephen G. Post is Professor of Preventive Medicine, Head of the Division of Medicine in Society, and Director of the Center for Medical Humanities, Compassionate Care, and Bioethics at Stony Brook University. He was previously (1988-2008) Professor of Bioethics, Religion, and Philosophy, School of Medicine, Case Western Reserve University and Senior Research Scholar at the Becket Institute of St. Hugh’s College, Oxford University. Post is a Senior Fellow in the Center for the Study of Law and Religion at Emory University. Post and his family are active members of their local Episcopal Church. Thanks to B and B Media group for providing a copy of the book for me to read and review. My own tasty words and opinions are expressed here.